There are a few transformative things you can do to a space that instantly change how it looks and feels. One of them is paint, the second is lighting, and the third is texture. Today we're going to discuss the latter. 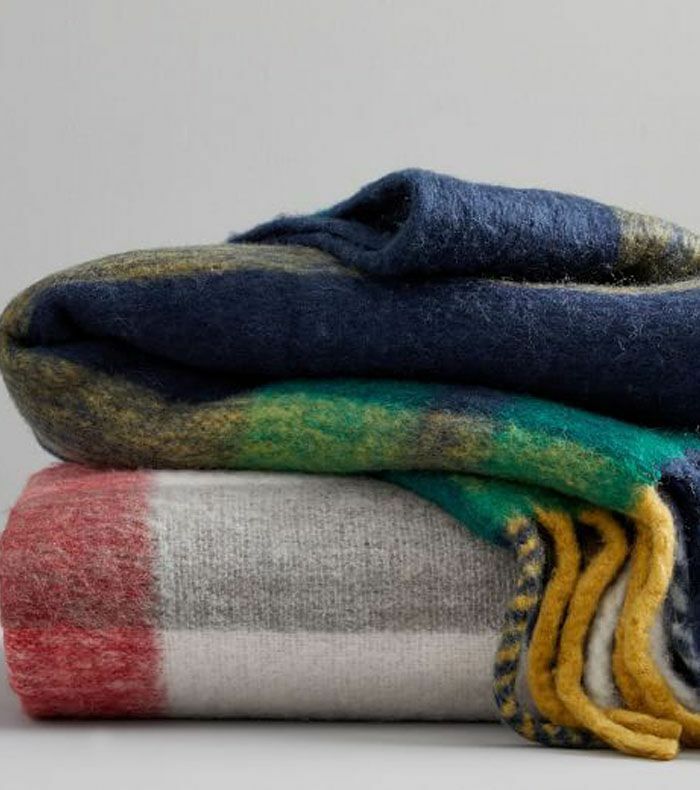 While there are varying ways you can add texture to a room, one of the simplest and typically most affordable ways to do it is via the humble throw. 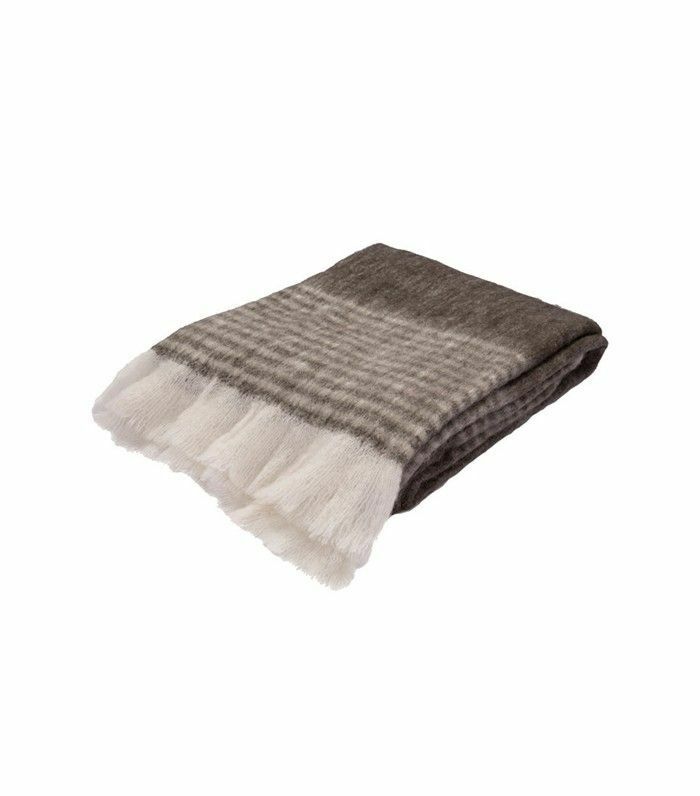 A throw is the ultimate home companion each season, but winter throws really have their chance to shine right now because we all want our homes to feel cozy and warm while it's chilly or snowing outside. 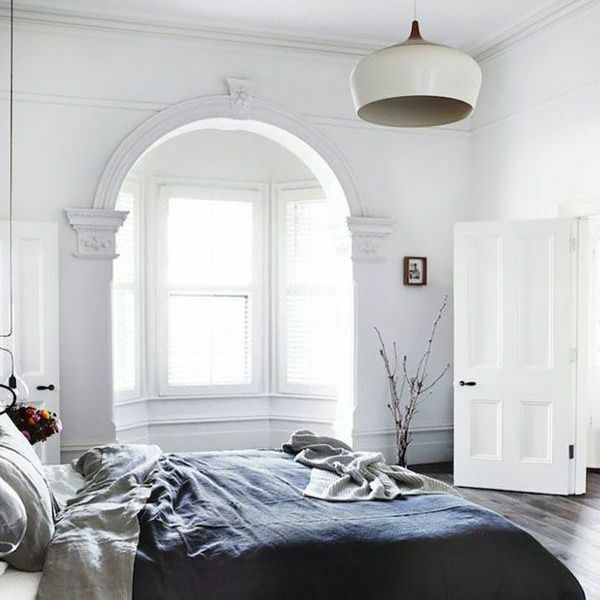 You can take a room from stark to stylish with one simple throw on the sofa or at the end of a bed. 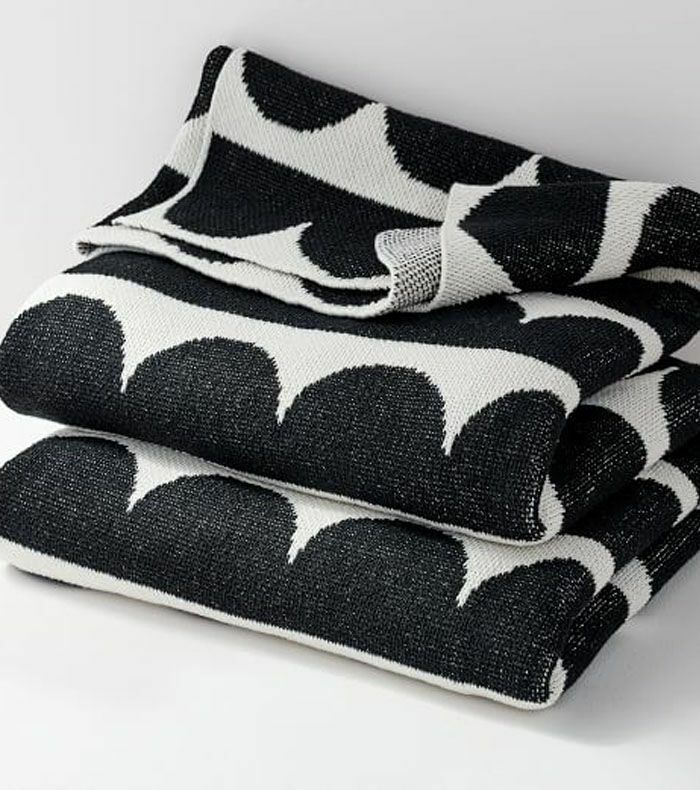 In honor this versatile piece, we've rounded a few super-soft players to keep your sofa styled to a T. From artful geometric prints to lush neutrals, these luxurious additions have us looking forward to our next night in. A little blush pink did a chicer sofa make. The pom-poms are a nice addition too. 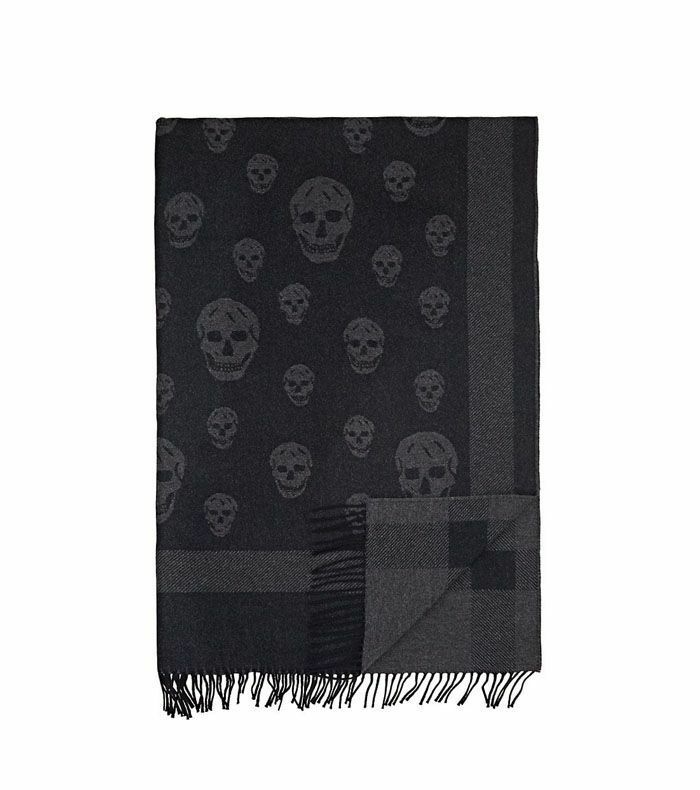 If you're after a fashionable touch, then this Alexander McQueen throw is the right piece for your sofa or bed. It also doubles as a cool scarf. This geometric pattern will add a dose of fun to any space. You can't go wrong with black and white. The patterned texture dials up the style. Did someone say cozy? 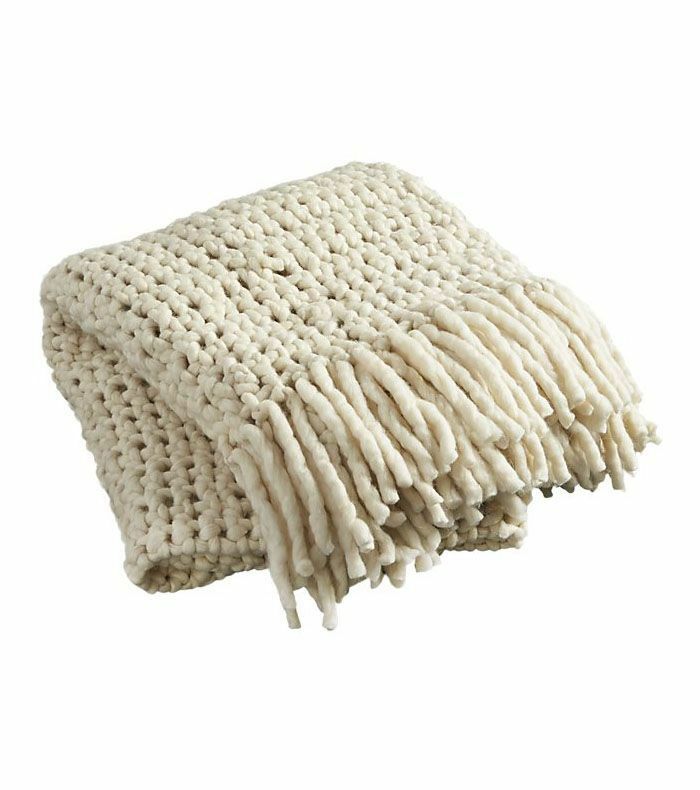 This one delivers all the comfort in one simple throw. 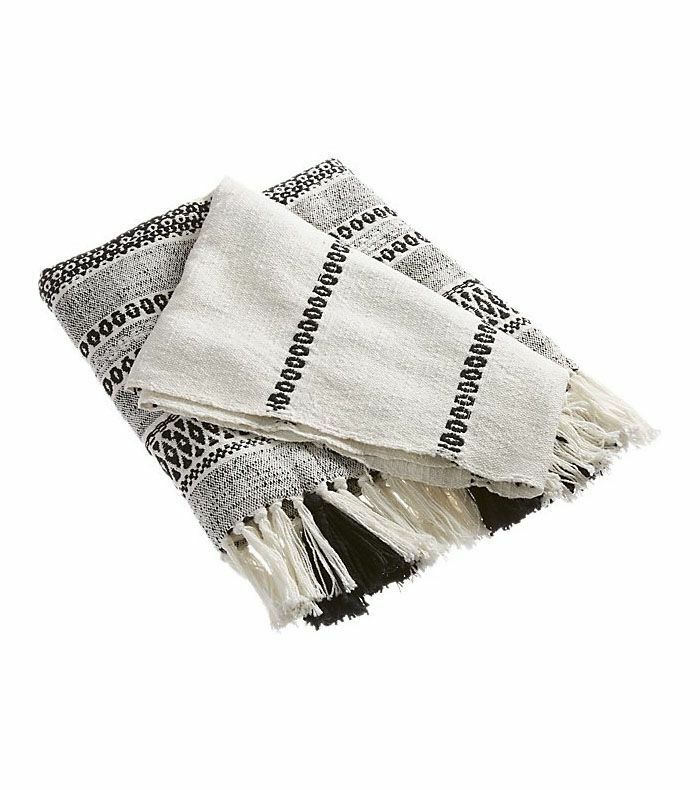 This striking black-and-white throw is made from recycled cotton, so it's stylish and sustainable. Who doesn't love a stripe? And at this price, we can all afford it too. 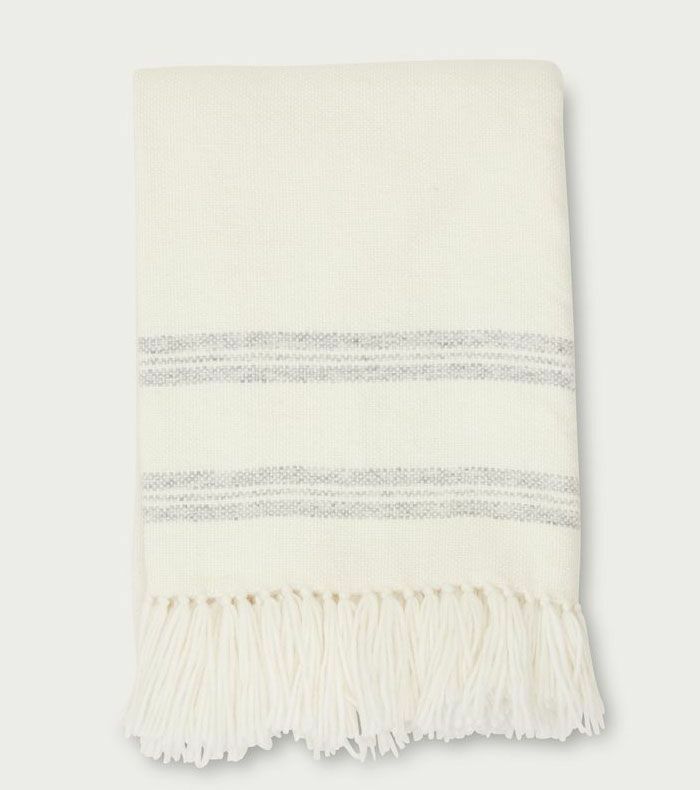 Sometimes you just want a throw that brings texture to a space over color. This one is your new go-to. 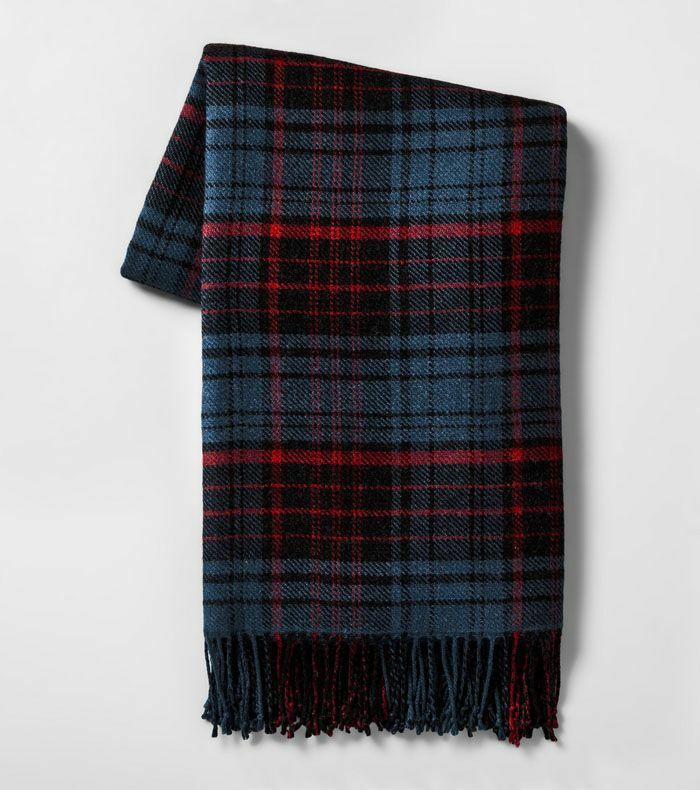 I have the red version of this plaid throw, and it's the softest, coziest blanket I've ever owned. The pattern is also ideal for the holidays. 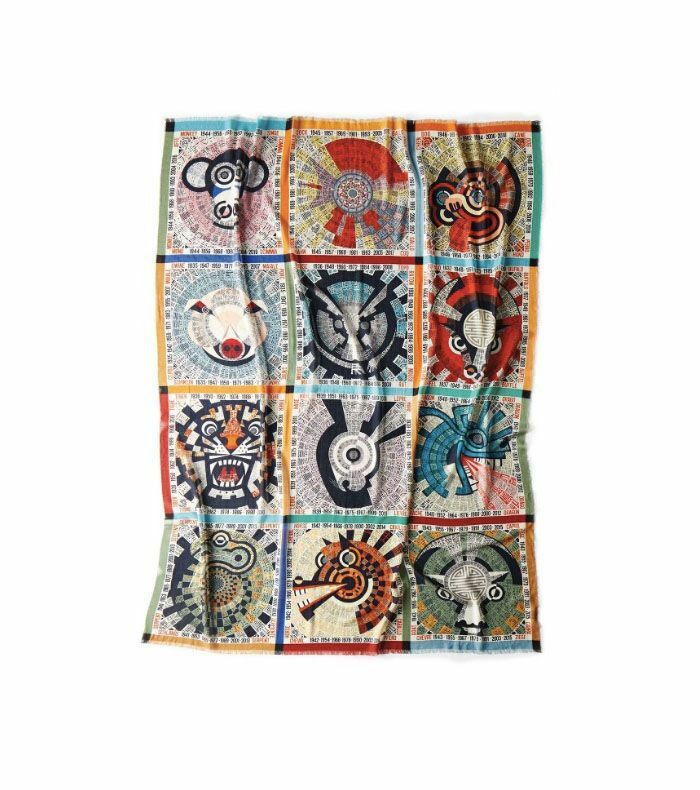 This striking throw doubles as wall décor. I could just see it hanging on the wall of a kid's bedroom or playroom. 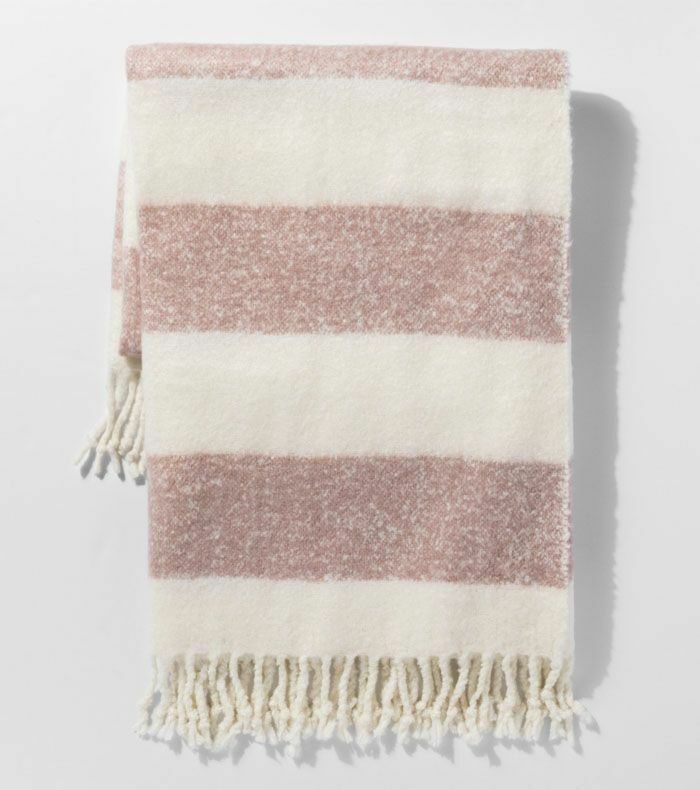 No one makes a softer, chicer alpaca throw than Jenni Kayne. This one is a classic you'll have forever. 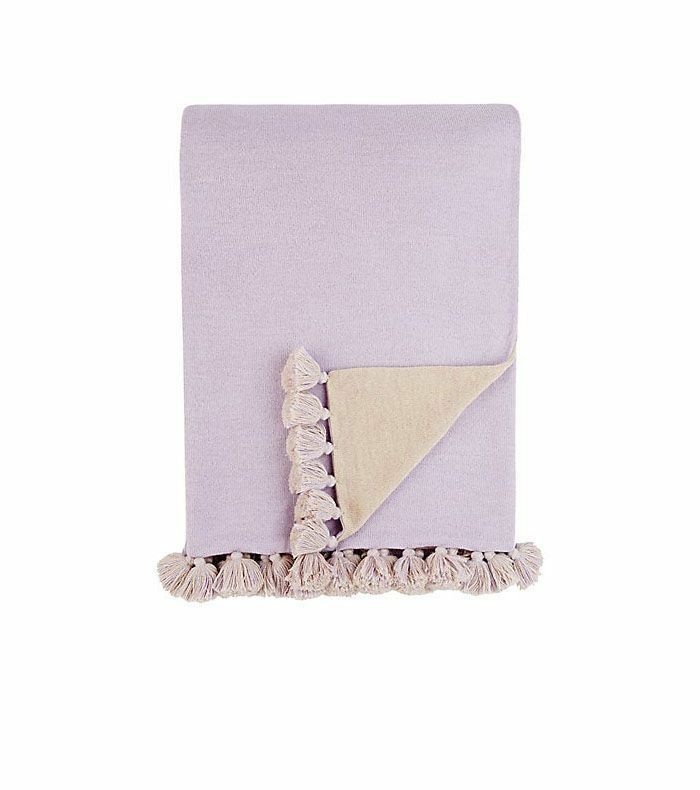 Who doesn't love a little lilac moment? 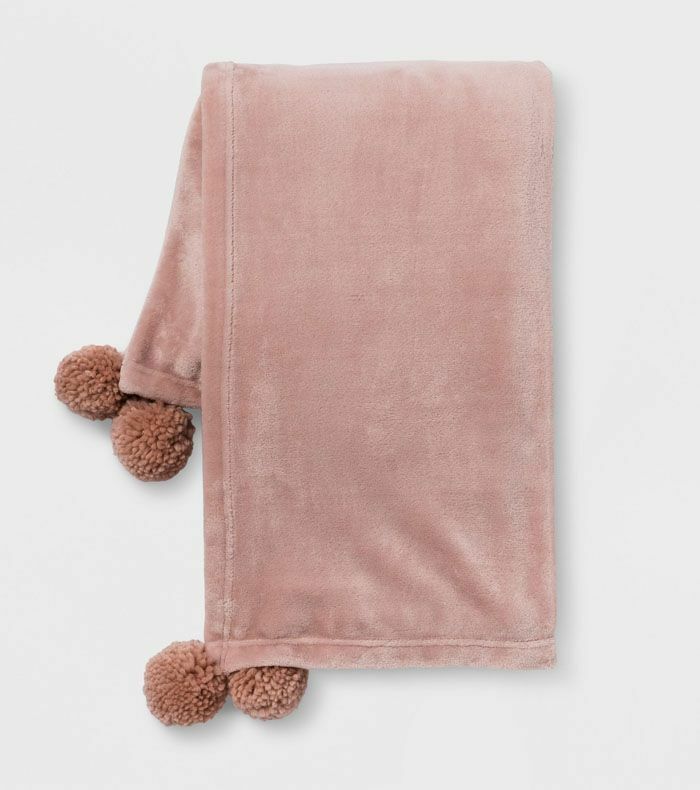 This is the most subtle pastel shade and the pom-poms really are fun. 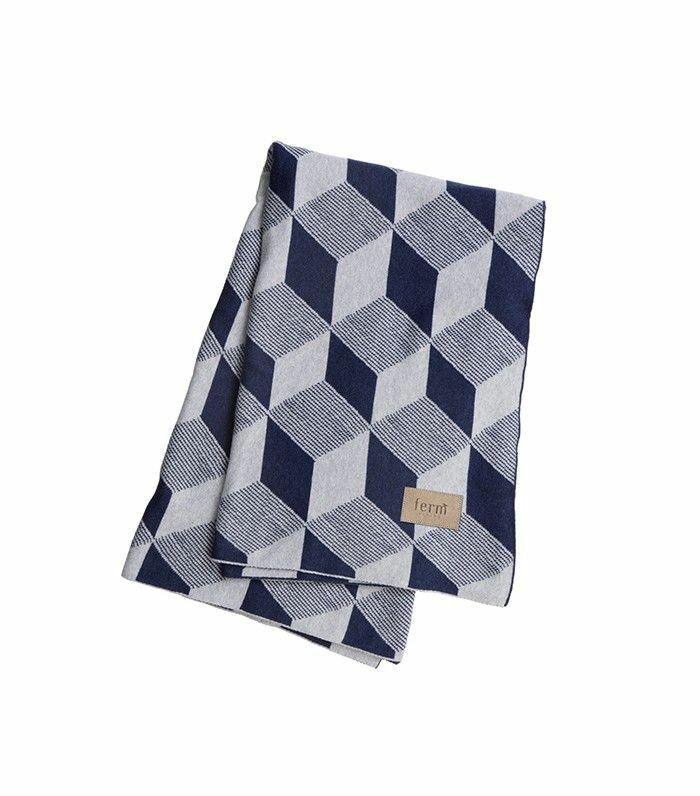 This is just about the coolest little throw blanket. The leather strap makes it easy to transport, and it also is a chicer way to display it at home when you're not using it too. 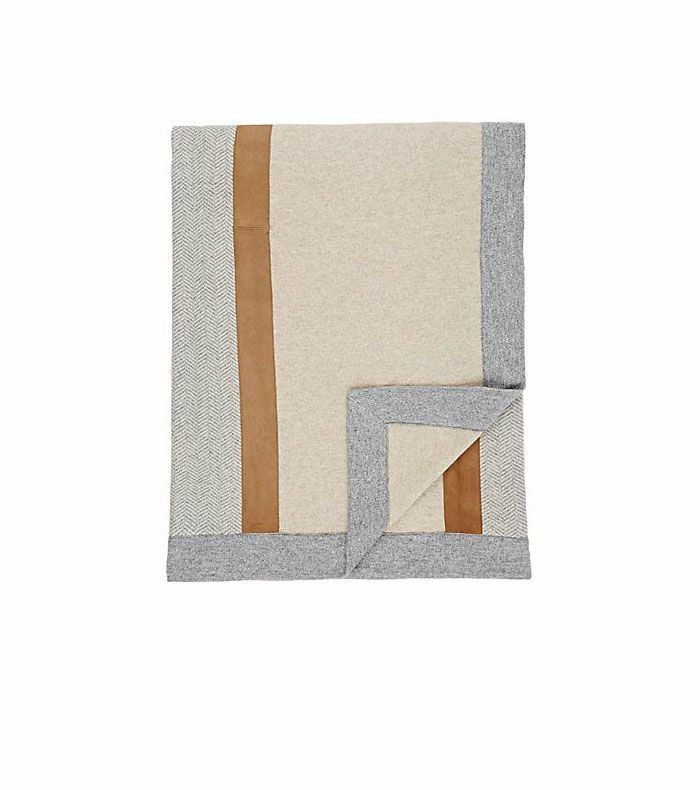 If you're wanting to step up your throw game, then look no further than this suede-detailed cashmere beauty. It's so beautiful, you'll want to have it on show all year. 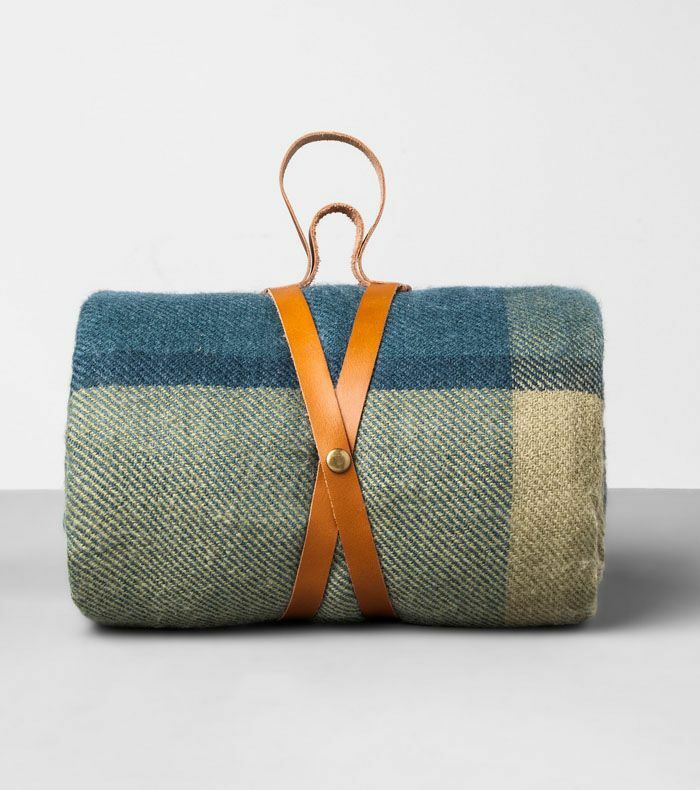 Can you tell we're really into plaid? Well, tis the season after all. 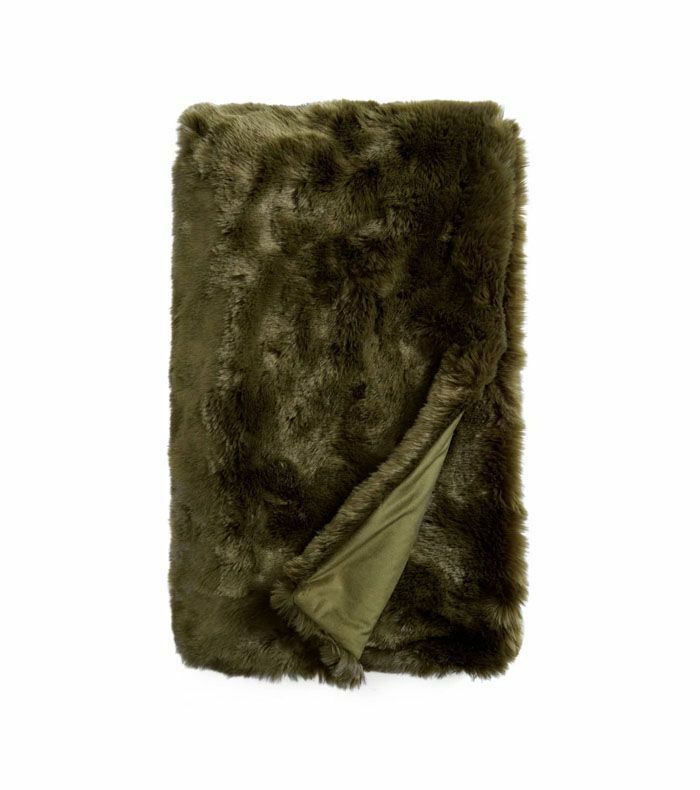 This season it's all about reds and greens, so we're definitely loving this faux-fur green blanket in a moody olive hue. This story was originally published on January 9, 2016, and has since been updated.